There are lots of ways to move your files between a Mac and Android device. The easiest way is using Bluetooth File Exchange right from the menu bar on your Mac. First, you’ll turn on Bluetooth on both devices. 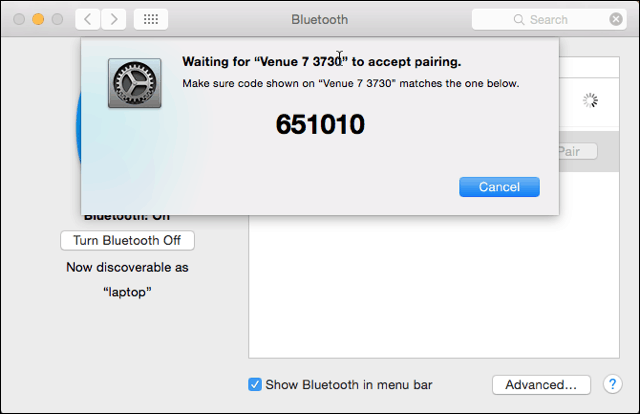 On the Mac, go to System Preferences > Bluetooth and make sure it shows “Bluetooth: On.” If not, click Turn Bluetooth On. You should see the phrase “Now discoverable as” and then the name of your computer in quotes. 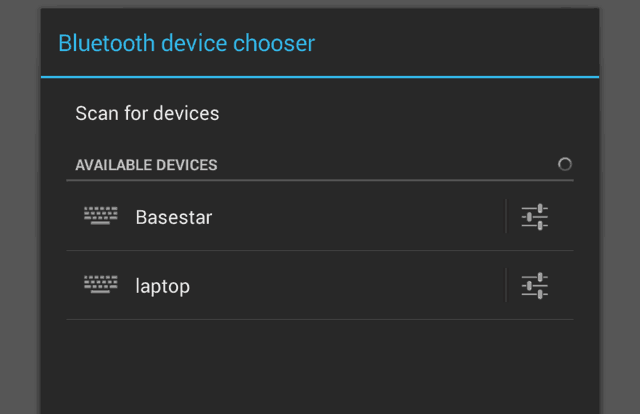 Next, on your Android device, go to Settings > Bluetooth. You should see your Mac listed. In this example it’s Basestar. 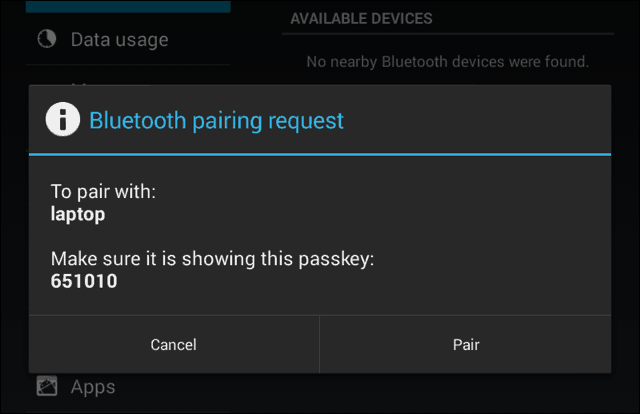 Make sure the pairing codes match and click “Pair” on each device. Your Mac and your Android device now make a lovely couple. Tap on Pair on your Android device too. 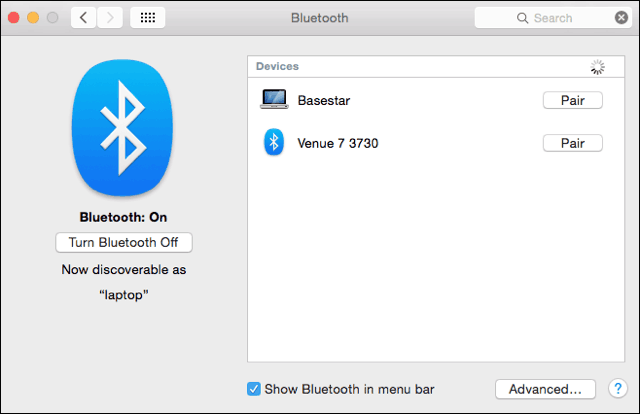 After you pair your phone or tablet to your Mac, click on the Bluetooth icon on your Mac’s menu bar. Your Android device will show up, from which you can click Send File to Device. On your Android device, accept the file. 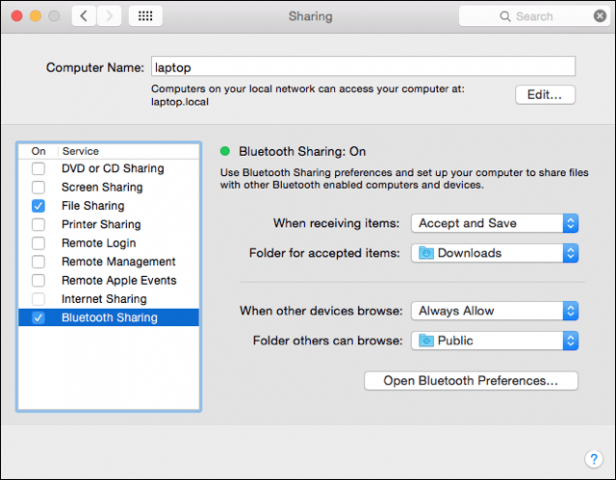 If you want to send files to your Mac, you’ll enable Bluetooth Sharing. Go to System Preferences > Sharing. In the sharing preference pane check the box for On next to “Bluetooth Sharing.” From here, you can set where you want the downloads to go, and what to do when you get a transfer request. In this example, it goes to the Downloads folder. 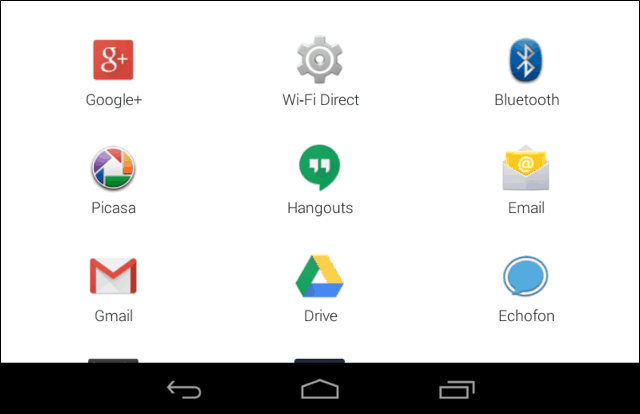 After you set up Bluetooth Sharing on your Mac, go to your Android device and click the share icon. The file will go to the folder you specified in Bluetooth Sharing on your Mac. Again in this example, it’s the Downloads folder. Now you can move files between your Mac and Android device without cables and third-party software. Mac book pro w/retina display will not accept incoming Bluetooth files, error msg says network is unavailable, make sure network access is enabled. I can transfer to my desktop mac computer and there is no network on it at this time either. It will not recieve Bluetooth files from my desktop mac either. Says the same error msg. It’s a newer security feature in the newer Material design versions of Android OS. You will have to do this EVERY time you update. It will reset the security feature. Doesn’t work. It was already to MPT (you can change this from developer options). When you get this error about network (even on) just remove the device from the list and re-pair. It’s a bug for sure but this procedure worked for me. I had Bluetooth file sharing checked and selected when receiving items , Adk what to do, but didn’t choose folder for accepted items, when I chose desktop it fixed the problem. Had to google elsewhere to find the “share icon”. For me on my galaxy s4, going to gallery, holding down on desired file, then clicking the “V” with dots on ends is what worked. Not everyone knows what that is… so a screenshot or something would be nice here. I take it you had the share screen up in your screenshot, but I didn’t know how to reach that point lol. Anyway, you helped me out with everything else so thank you for this post. Thanks so very much. Fav-ing you now because you’re onto the whole range of devices which helps heaps. Thank you! worked like a charm!!! Thanks so much, couldn’t figure out what I was doing wrong before I read this, sorted me out a treat! When i try to browse files on device, i get the error as “you cant view the contents of this folder due to general error, try again later”. Is there any workaround for this error?? Install Flick. application on your devices and sharing files will be fun. Its available for all platforms and sharing files between different platforms is also possible. It solved a lot of stress for me. thanks you bruh, i try to send pictures from my android and always failed, until i read this article and everything fix..
B’tooth works faultlessly with everything every other device except for Mac. Big clue, don’t buy Macs, they’re too user unfriendly & try to insidiously trap people into their ecosystems. btw, I’ve never been able to transfer TO Macs & I’ve had various androids & these settings on. I used to be a Mac fan, but these days I hope they crash & burn. They Oooze pretentiousness & are way worse as a corporate than Microsoft used to be. p.s. just unpaired (from phone) and re-paired (again from phone) and suddenly the Mac prompts me to accept the file (multiple times ‘cos I tried multiple times). Obvious NOT, but an answer of sorts at least. Thank you. Great article. Files transferring over now.